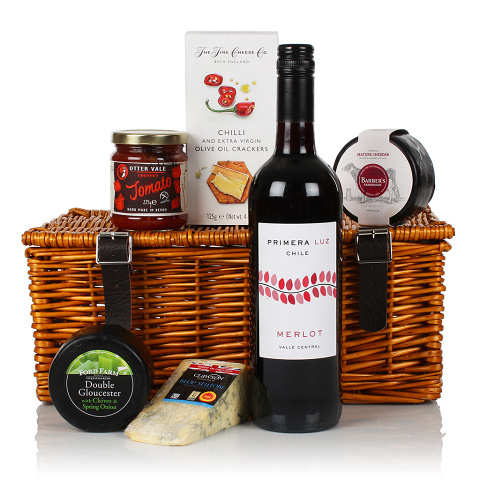 A feast of delicious cheeses awaits the lucky recipient of this popular hamper. A trio of British cheeses is accompanied by a chutney and crackers. There's also a bottle of well-rounded Chilean Merlot for them to toast with. A fail safe choice for any savoury fan.